One of the hardest things for me to do is tell an excited whip buyer that he/she will have to wait three months for a whip. Yet, this is something that I have to tell people quite frequently. In the past, I’ve been a far as 7 months behind on orders. Right now, I’m running around 3 months behind. Many of the plaiters I know are as far, or further behind that I am. Don’t let the long waiting list discourage you; a plaiter with a waiting list isn’t really a bad thing. It normally means he’s a plaiter who’s work is in demand. If his work is in demand, that is a good indication that his whips are pretty good. Most whipmakers work alone, so you’re getting a custom handcrafted product, not something mass produced in a sweat-shop. Juan Valdez may be able to pick all the coffee beans in Columbia, but a good whipmaker can only plait one whip at a time. lol! The worst thing to do is wait until the last minute to order! Order well ahead of when you need the whip. Even if a plaiter has a long waiting list, you can sometimes get a whip made for a special event/occasion if you give him enough notice. Whip sales tend to fluctuate with the rise and fall of the mercury. That is, orders come in like mad during the Spring and Summer when it’s warm. With the exception of the Christmas season, orders tend to slow down during the Fall and Winter when it’s cooler. 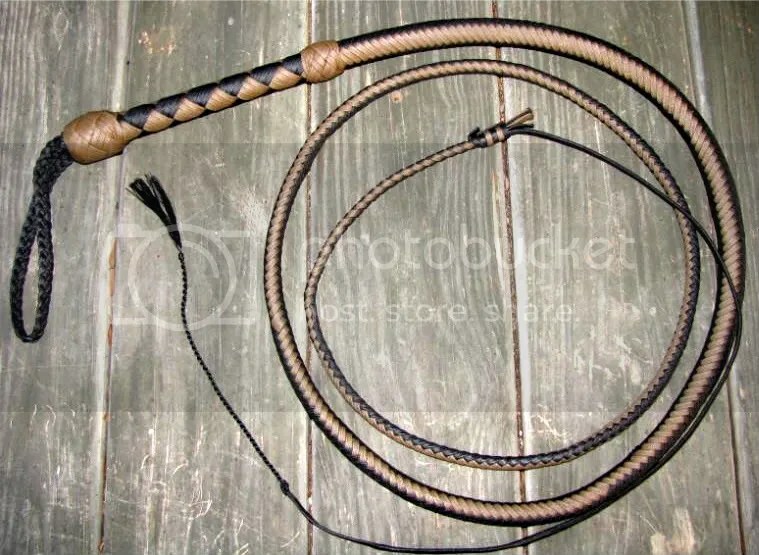 After Christmas, is normally the best time to get a whip quickly from me. If the plaiter won’t/can’t budge on the wait time, ask him to refer you to another whipmaker who may be able to accommodate you. If the plaiter you’re dealing with is a decent person, he ought to have some friends (or even an apprentice) to whom he could refer you. I do this on a regular basis. 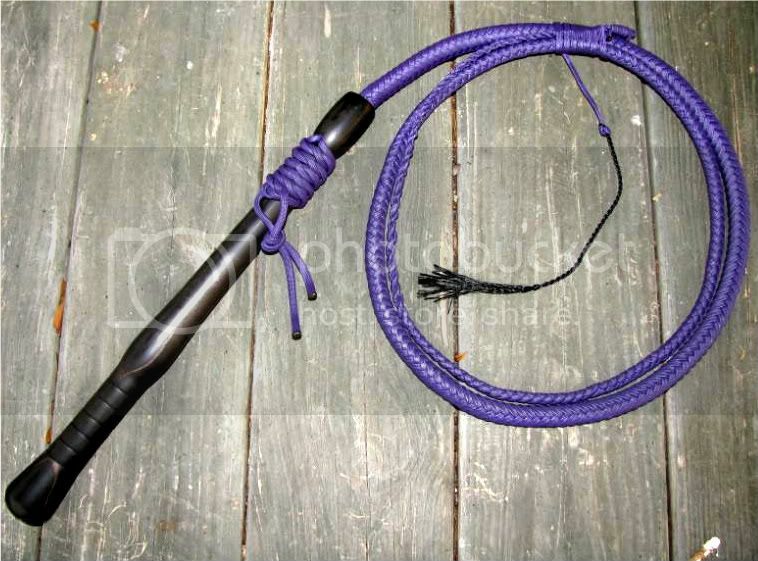 Find a retail outfit that sells whips. You won’t get a custom job and you may pay more, but you won’t have to wait. If all else fails, I guess eBay is an option, but not one I would recommend too highly. Sure, there’s certainly some good plaiters who sell whips there. But for every good plaiter you’ll find, it seems there’s more than a few hucksters on there that are trying to peddle a piece of 4th rate rubbish. Just be very, very careful. I hope this helps. Again, it won’t apply to every whipmaker and there may be some ideas I have overlooked. When at all possible, just plan ahead and order directly from a reputable plaiter. As I stated in an earlier post, now is the time to be thinking about Christmas orders. For some whipmakers, it may already be too late. Plan ahead and avoid disappointment. This entry was posted on Sunday, June 21st, 2009 at 4:00 pm	and posted in Leather whips, nylon whips, waiting list, whip makers, Whips. You can follow any responses to this entry through the RSS 2.0 feed.